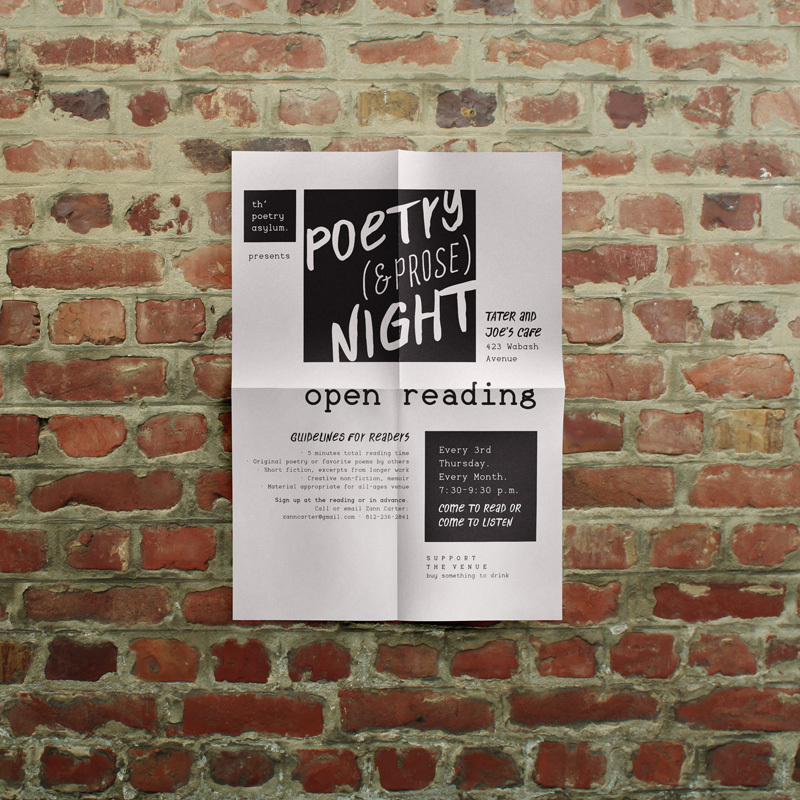 This organization of poets and writers hosts a monthly community reading at a local coffee shop in Terre Haute, Indiana. They also run other events from time to time. They needed an identity that was recognizable in the community. They also needed a flyer that could be plastered all over town. We balanced a typewriter-style typeface and scrawled handwriting to create a nice set of usable square marks. They can be used in combination or on their own without losing their sense of identity. Playing off of the marks’ zine-like feel, the flyer is eye-catching and super usable. It can be photo-copied easily in black and white without losing any of its edgy appeal. Logo squares can be combined and sized in various ways. Eye-catching flyer is easily and inexpensively reproduced. © 2019 Blustery Day Design.